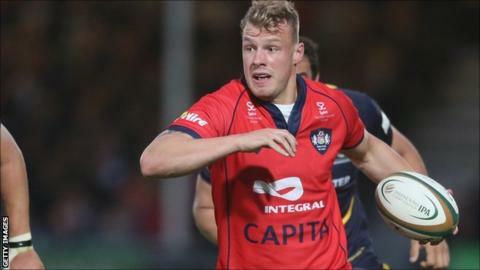 Bristol Rugby back-row forward Mitch Eadie has signed a new deal to stay at the Championship club until 2017. The 23-year-old Eadie came through the club's academy and has made 96 competitive appearances for Bristol, scoring 28 tries. He has also represented Scotland Under 18s and U20s and made his competitive debut for Bristol in 2010. "Bristol Rugby is my hometown club so it's an incredibly proud moment every time I take the field," said Eadie. And Bristol first-team coach Sean Holley revealed the club and fought off interest from Premiership club for the player. "It's great news, he was a big player for us last year and has started the season well," Holley told BBC Bristol. "It just goes to show the ambition of the club that both parties want to get round the table and sign up. "He is a local lad, performing well and highly sought after by big clubs but he has chosen to stay at Bristol where we have a huge project going on and he has recognised that."